Rohingya Muslim militants in Myanmar killed dozens of Hindu civilians during attacks last August, according to an investigation by Amnesty International. The group called Arsa killed up to 99 Hindu civilians in one, or possibly two massacres, said the rights group. Arsa had denied involvement. 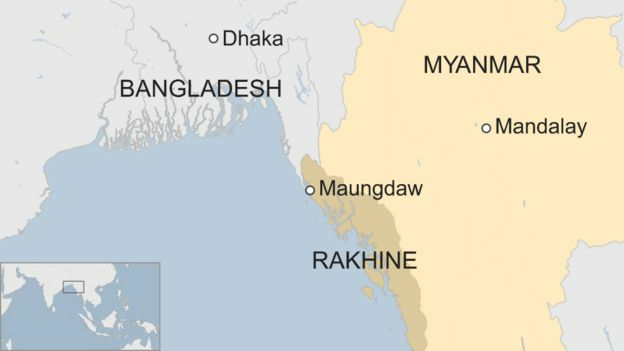 The killings came in the first days of an uprising against Burmese forces, who are also accused of atrocities. Since August nearly 700,000 Rohingyas and others have fled the violence. 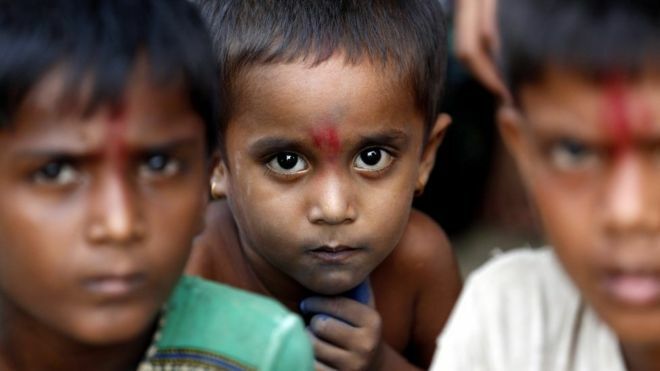 The conflict has also displaced members of the majority Buddhist population in Myanmar (also called Burma) as well as members of the Hindu minority. Amnesty says interviews it conducted with refugees in Bangladesh and in Rakhine state confirmed that mass killings carried out by the Arakan Rohingya Salvation Army (Arsa) took place in a cluster of villages in northern Maungdaw Township at the time of its attacks on police posts in late August. The findings also show Arsa was responsible for violence against civilians, on a smaller scale, in other areas. The report details how Arsa members on 26 August attacked the Hindu village of Ah Nauk Kha Maung Seik. “In this brutal and senseless act, members of Arsa captured scores of Hindu women, men and children and terrorised them before slaughtering them outside their own villages,” the report said. Hindu survivors told Amnesty they either saw relatives being killed or heard their screams. Arsa fighters are accused of killing 20 men, 10 women, and 23 children, 14 of whom were under the age of eight. Amnesty said the bodies of 45 people from the village were unearthed in four mass graves in late September. The remains of the other victims, as well as 46 from the neighbouring village of Ye Bauk Kyar, have not been found. The investigation suggests that a massacre of Hindu men, women, and children in Ye Bauk Kyar happened on the same day, bringing the estimated total number of dead to 99.
people need to understand the value of human life.Try to help people than killing. Let us all condemn the actions of few Muslims who killed Hindus.